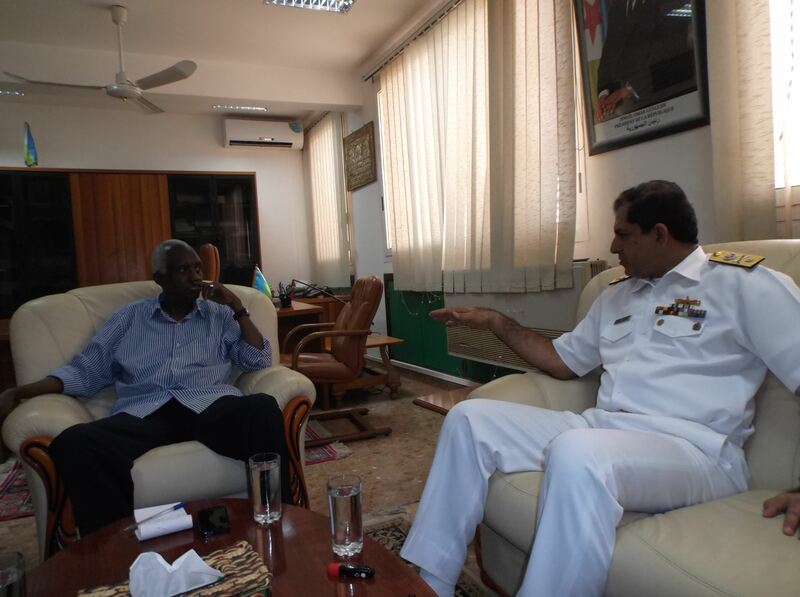 Commodore Asif Khaliq, Pakistan Navy, Commander of Combined Task Force (CTF) 150 recently visited Djibouti as part of his regional engagement plan, which is aimed at improving maritime security in the Combined Maritime Forces (CMF) area of operations. The meetings were with the Djibouti Defence Minister, S.E.M. Hassan Darar Houffaneh, and Director Djibouti National Security Council, Mr Hassan Said Khaireh, in their respective offices. Commodore Khaliq explained the CMF mission, which is designed to enhance coordination between regional countries for active participation in CMF, a professional naval force comprised of 29 countries who work together to maintain security and stability in the area. 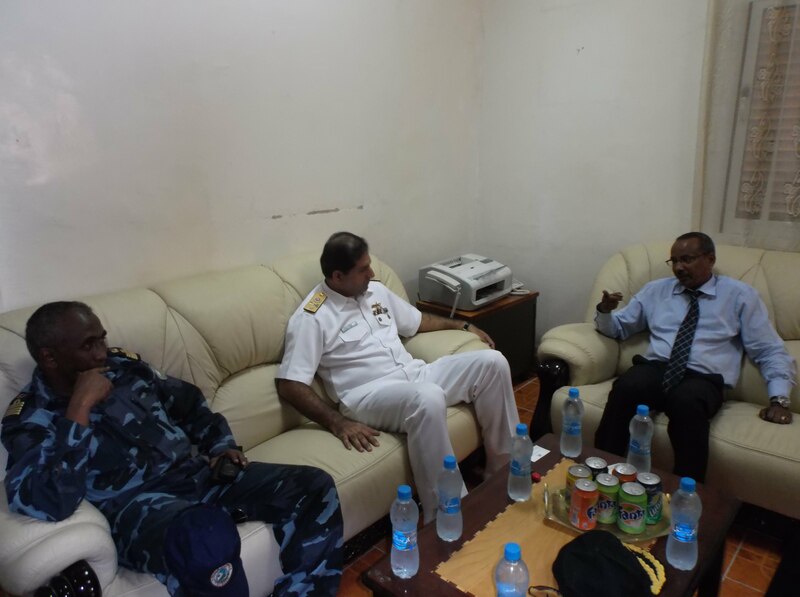 Commodore Asif Khaliq meeting with Director Djibouti National Security Council Mr Hassan Said Khaireh. Pakistan has been in charge of CTF 150 for two months, with the remit to create a lawful and stable maritime environment free from terrorism, smuggling and other illegal activities in a region, covering the Red Sea, Gulf of Aden, Arabian Sea, Indian Ocean and Gulf of Oman. To accomplish this goal, it is essential that CTF 150 works together with regional states. With Djibouti positioned at the southern end of the Bab al Mandeb strait, it is an important contributor in helping CTF 150 to achieve its aim of ensuring that maritime trade continues to flow unhindered through strategic chokepoints.